Jack and Jimmy Moore were close friends and did everything together. The picture below was taken as they left on a bicycle trip to Tampa one summer. 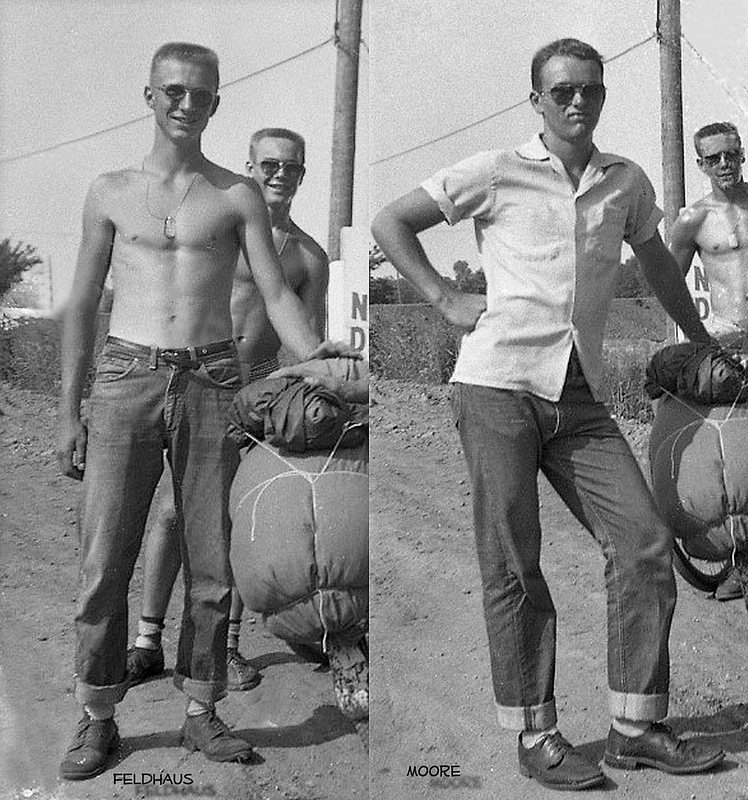 That's friend and neighbor William Bundrant in the background of both pictures. He had wanted to go on the bike trip but for some reason was unable to make it. 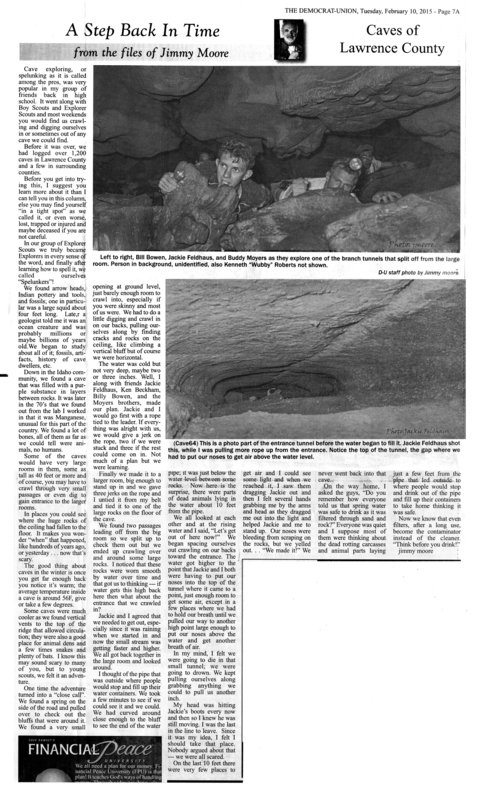 Jimmy wrote the story further below about their adventures while "caving" with the Explorer Scouts.